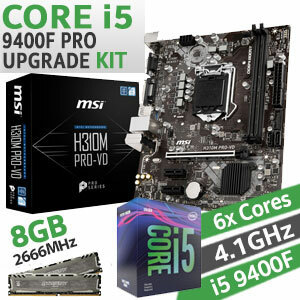 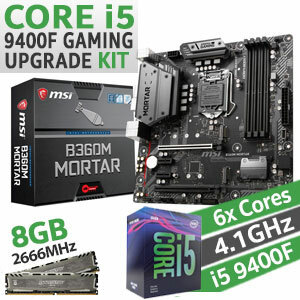 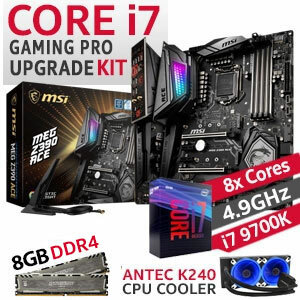 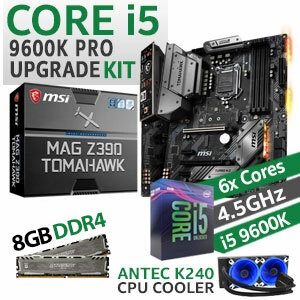 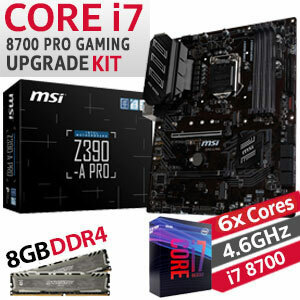 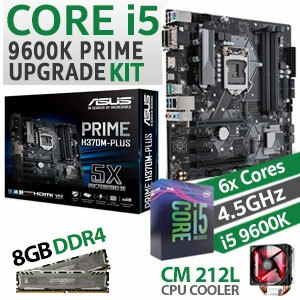 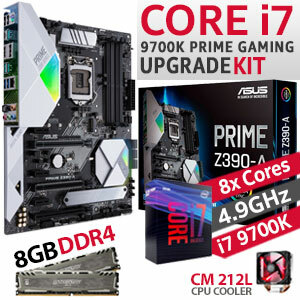 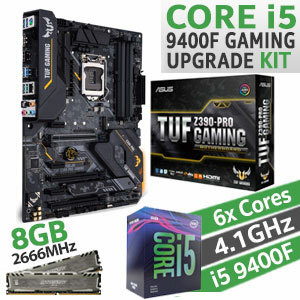 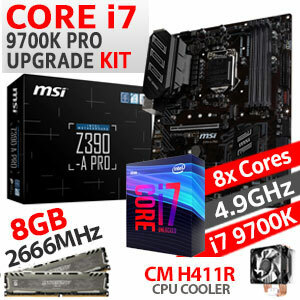 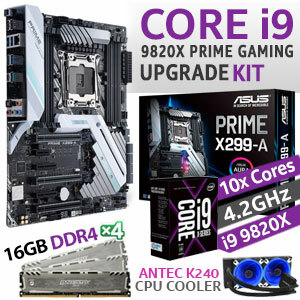 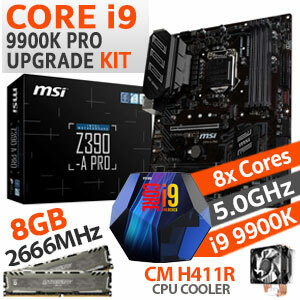 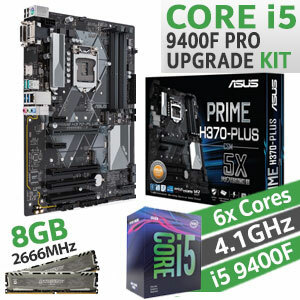 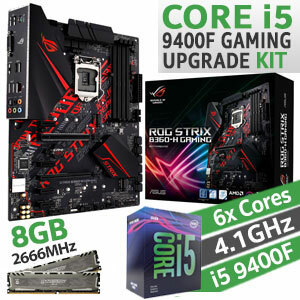 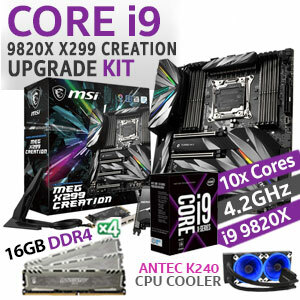 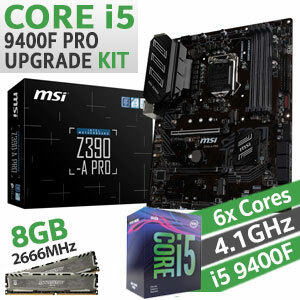 Core i5 9600K Pro Upgrade Kit - ASUS TUF H370-PRO GAMING Intel LGA1151 DDR4 ATX Motherboard + Intel 9th Gen Core i5 9600K Up to 4.9GHz CPU + 8GB DDR4 2666MHz Gaming RAM + CM Hyper 212L CPU Cooler [+] GET FREE Evetech KRYX Large Gaming Mousepad + FREE DELIVERY ! 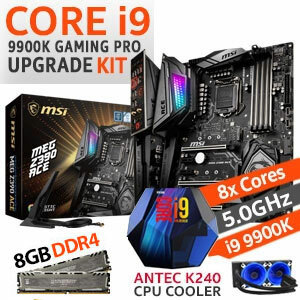 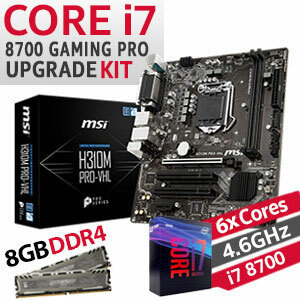 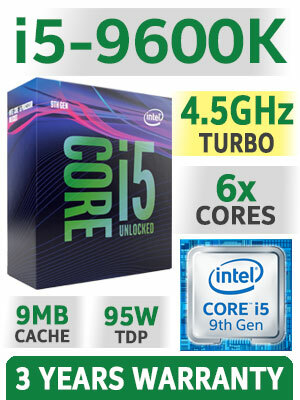 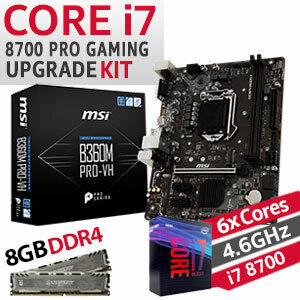 Introducing the Evetech Intel 9th Gen Core i5 9600K Pro upgrade kit, featuring the very latest cutting edge Intel Coffee Lake architecture and the latest DDR4 memory standard, the insanely fast 2666MHz DDR4. 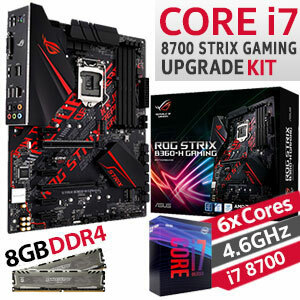 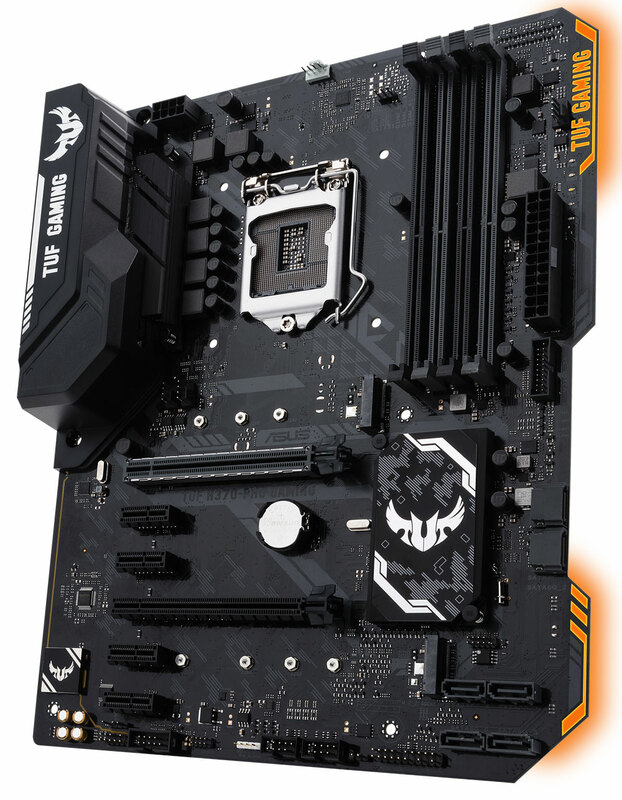 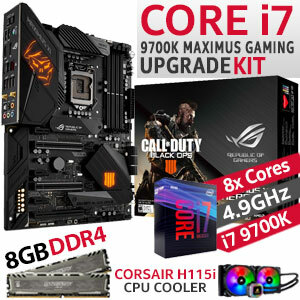 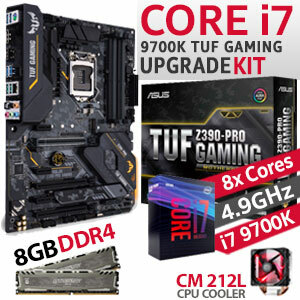 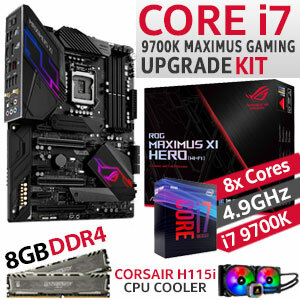 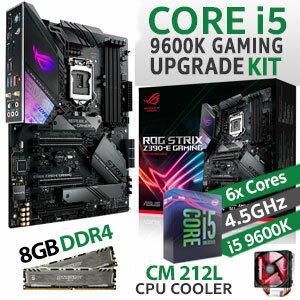 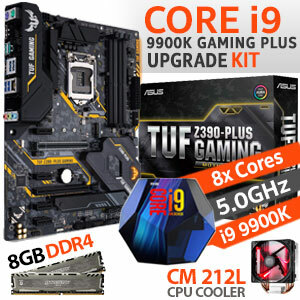 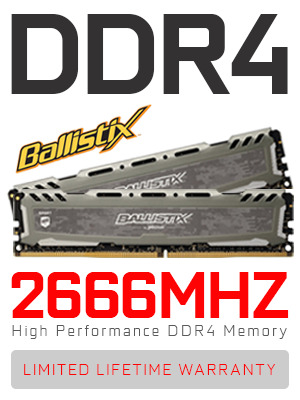 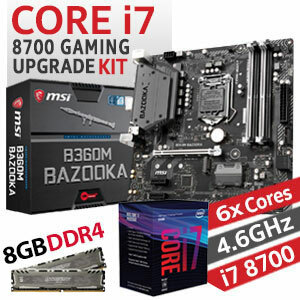 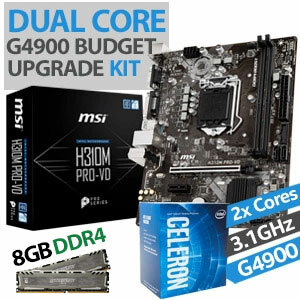 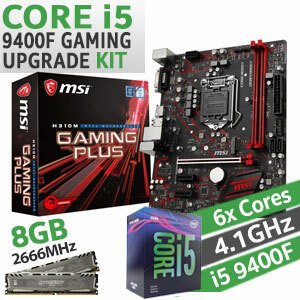 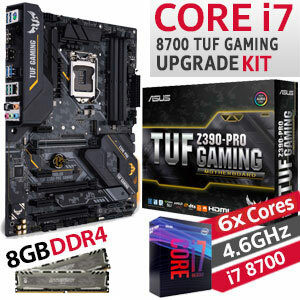 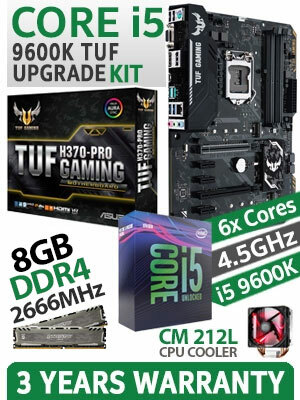 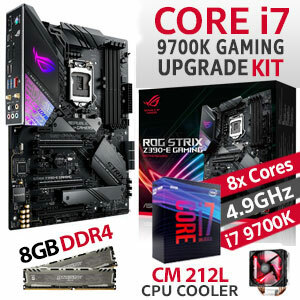 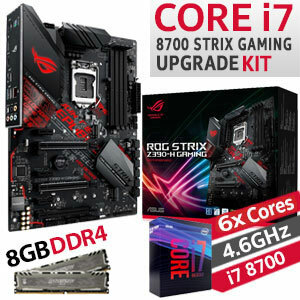 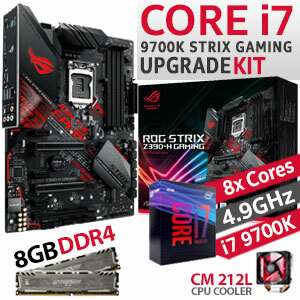 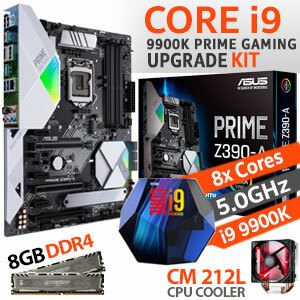 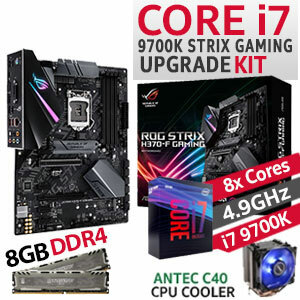 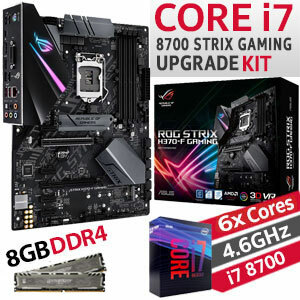 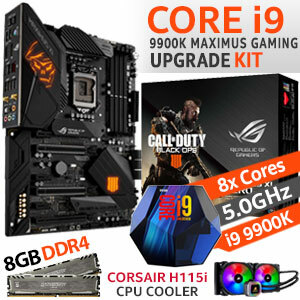 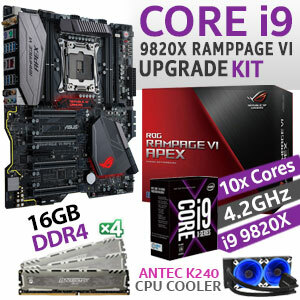 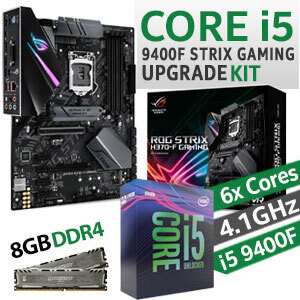 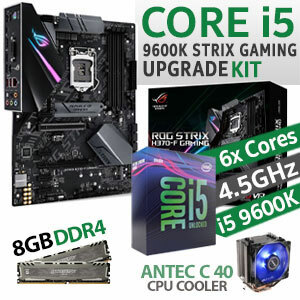 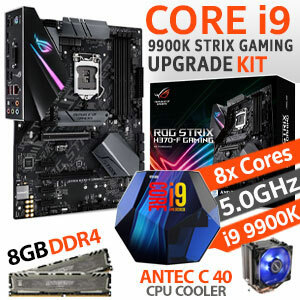 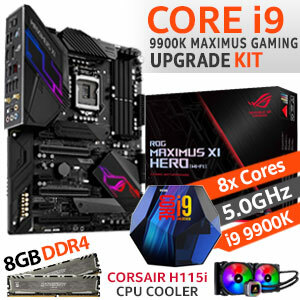 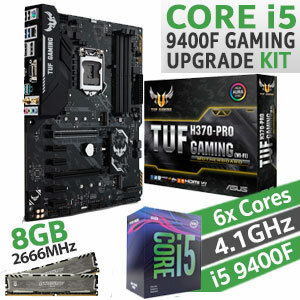 Based on ASUS's excellen TUF H370-PRO GAMING Ultra Solid USB 3.1 INTEL Motherboard the bundle also include Intel's powerful Intel 9th Gen Core i5 9600K CPU. 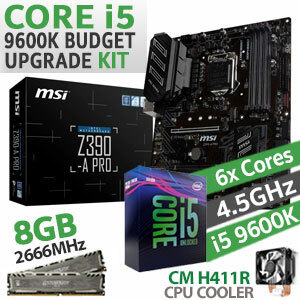 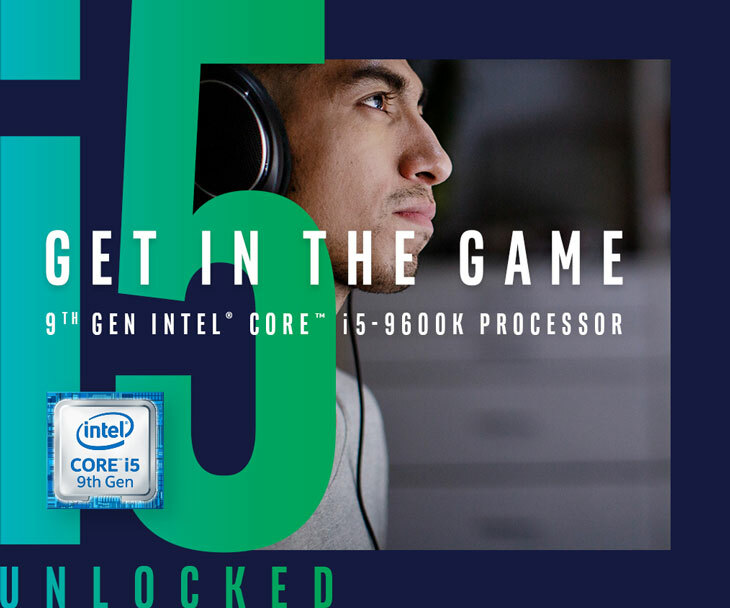 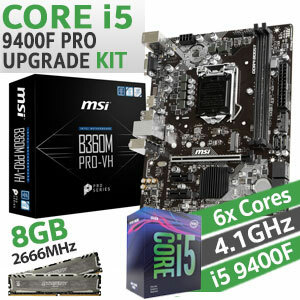 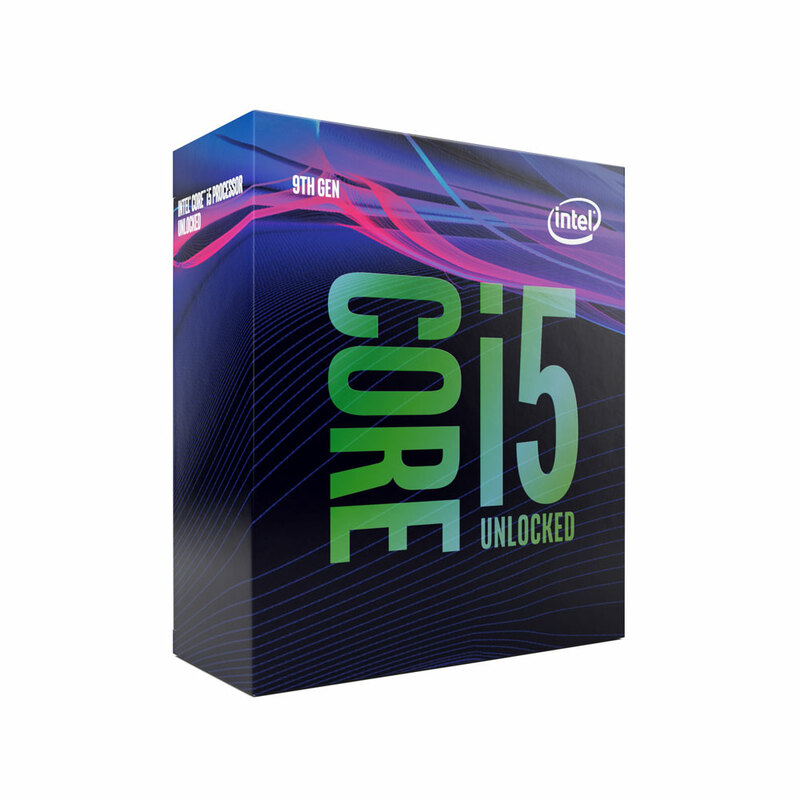 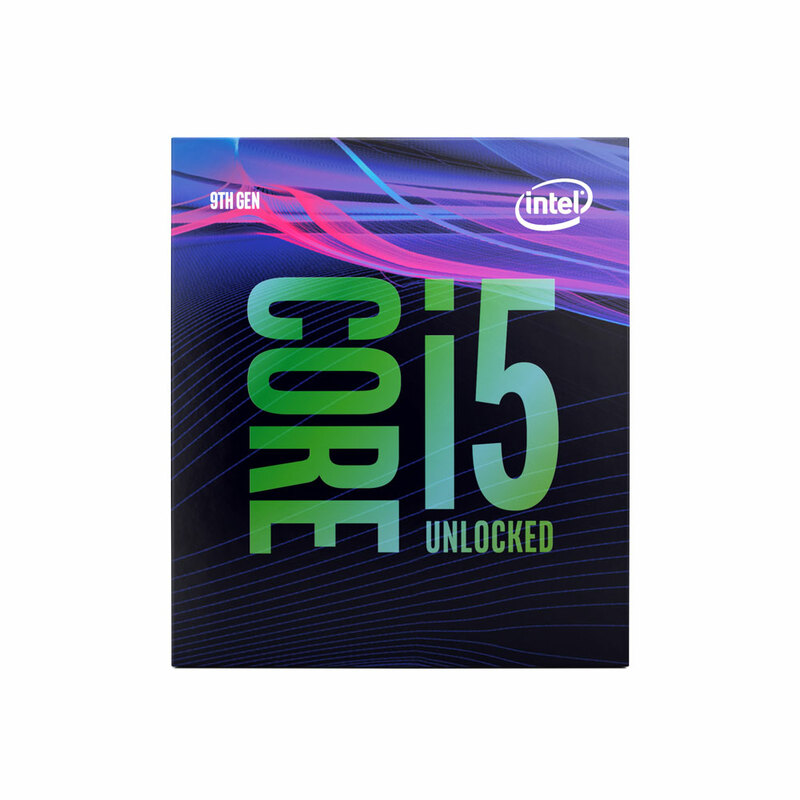 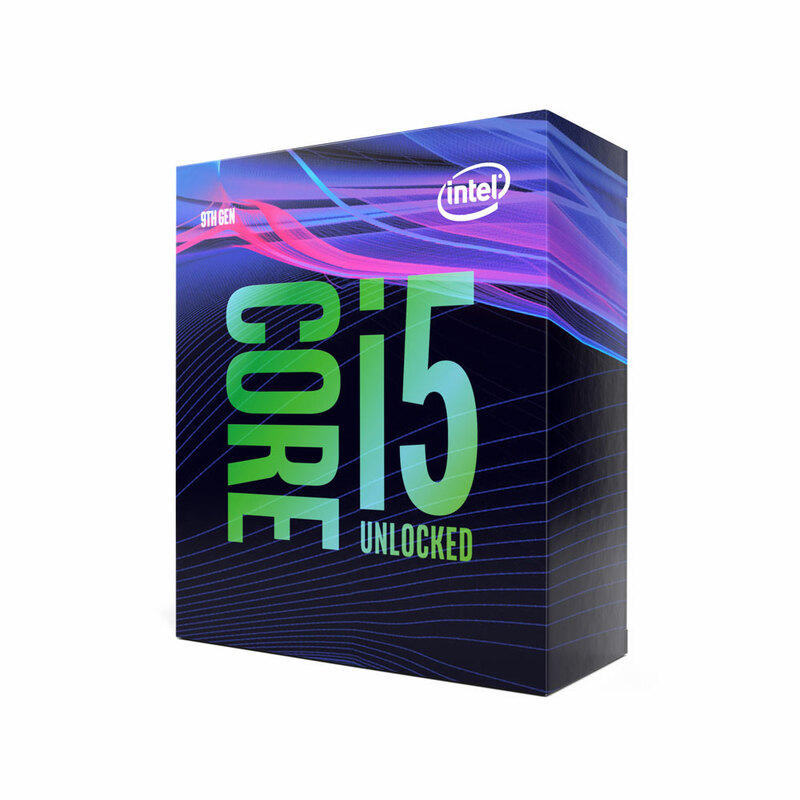 Equally at home in a workstation as it is in a high spec gaming machine, the Intel 9th Gen Core i5 9600K Pro upgrade kit is a true jack of all trades! 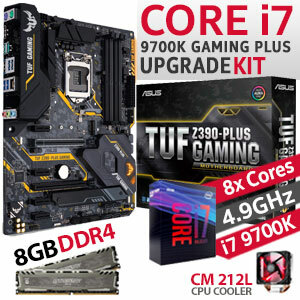 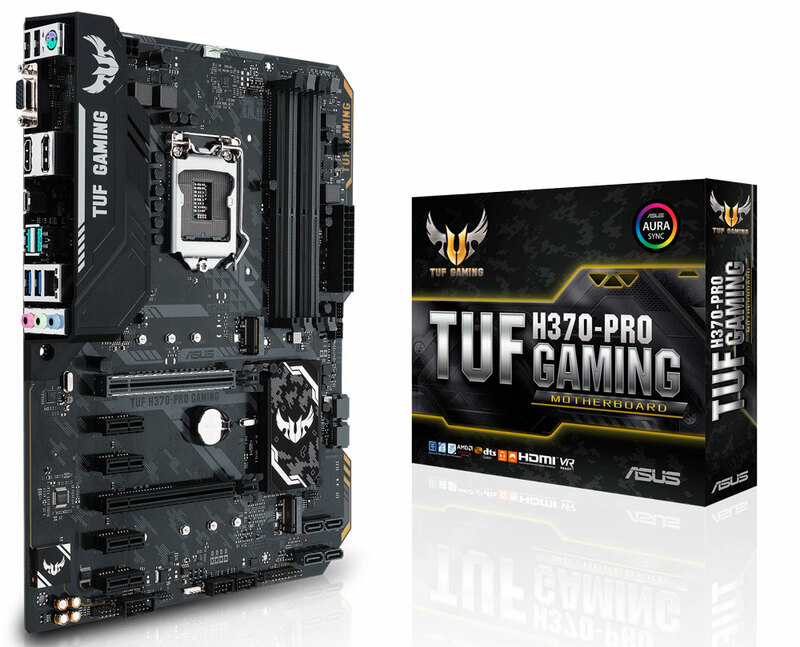 Only the finest quality components and latest innovations are used in ASSU TUF H370-PRO GAMING Motherboard. 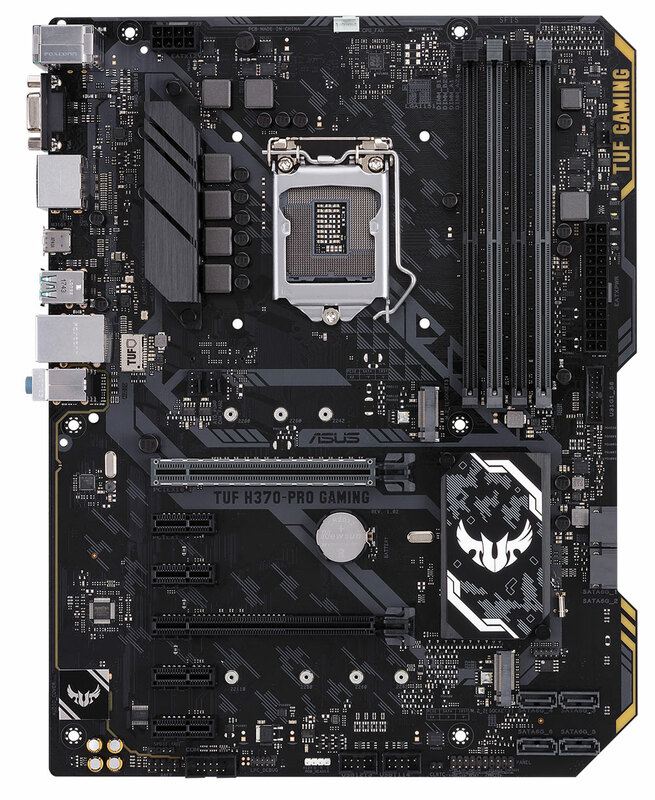 Rigorous quality testing under the most extreme conditions ensures a super reliable, high performance motherboard. 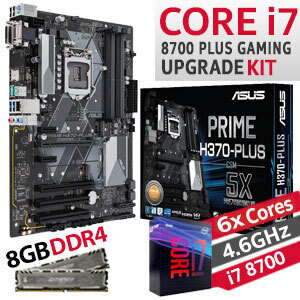 ASUS TUF H370-PRO GAMING Motherboard Optimized traces, a fully isolated memory circuitry and long list of memory compatibility testing ensures perfect stability and performance, so you never have to worry about your system crashing during heavy workloads. 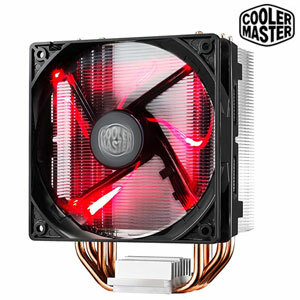 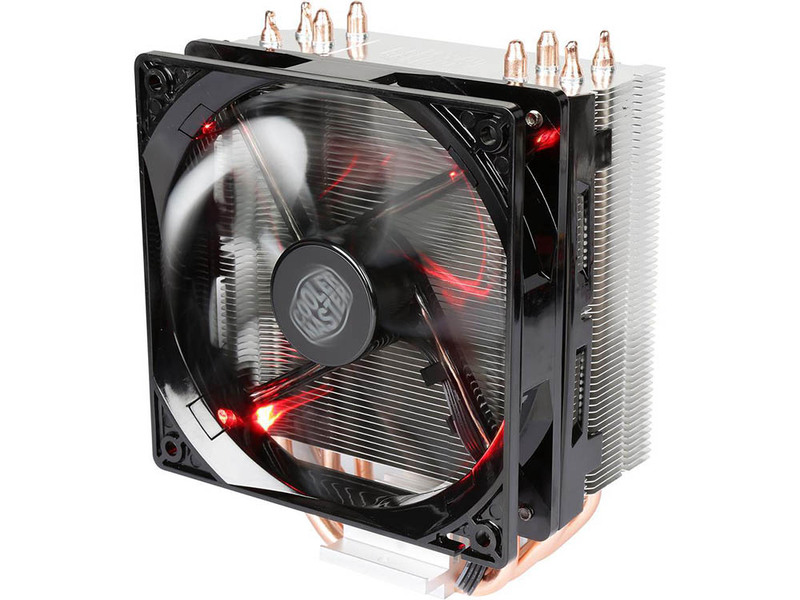 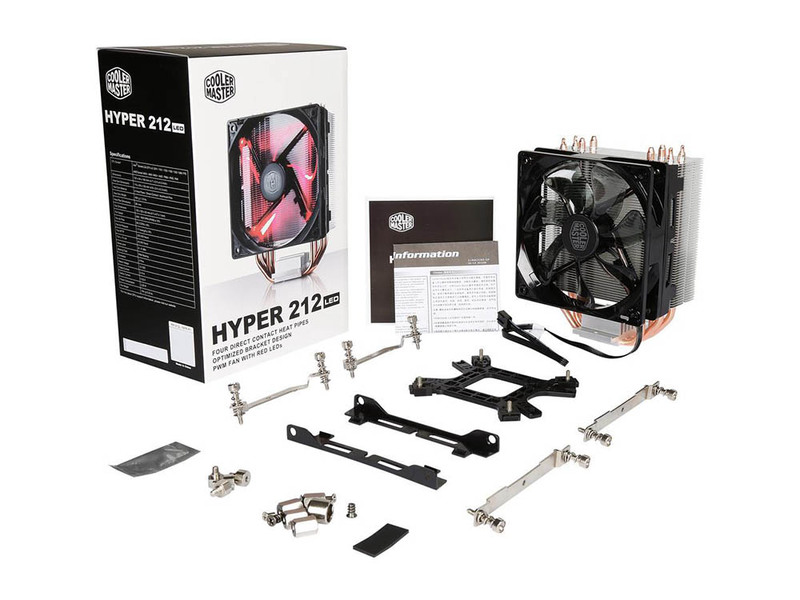 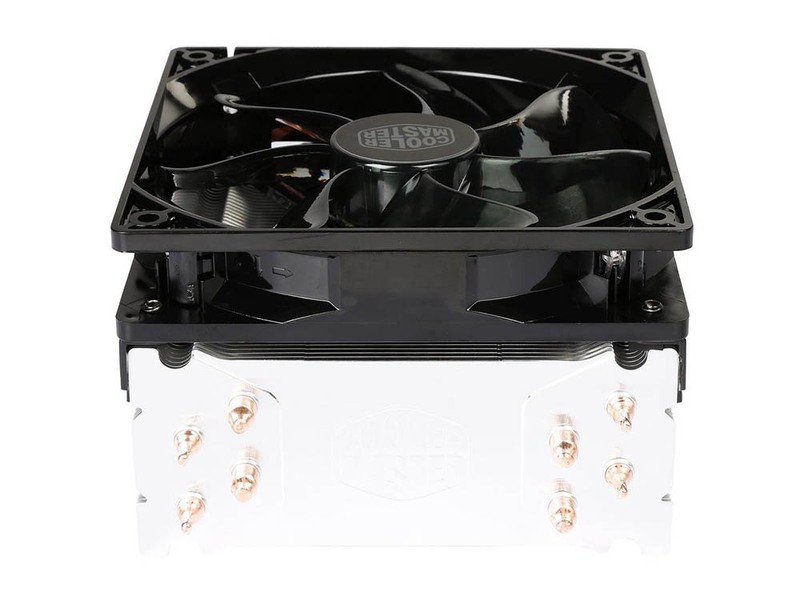 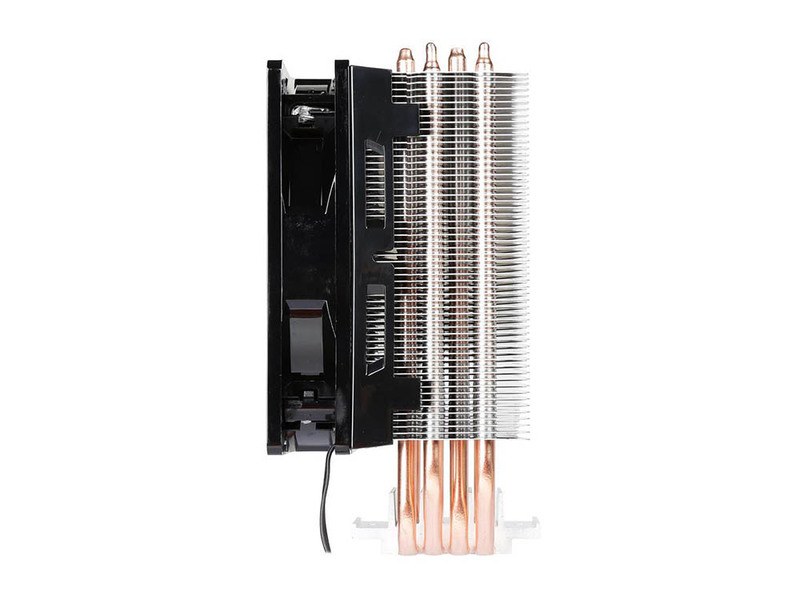 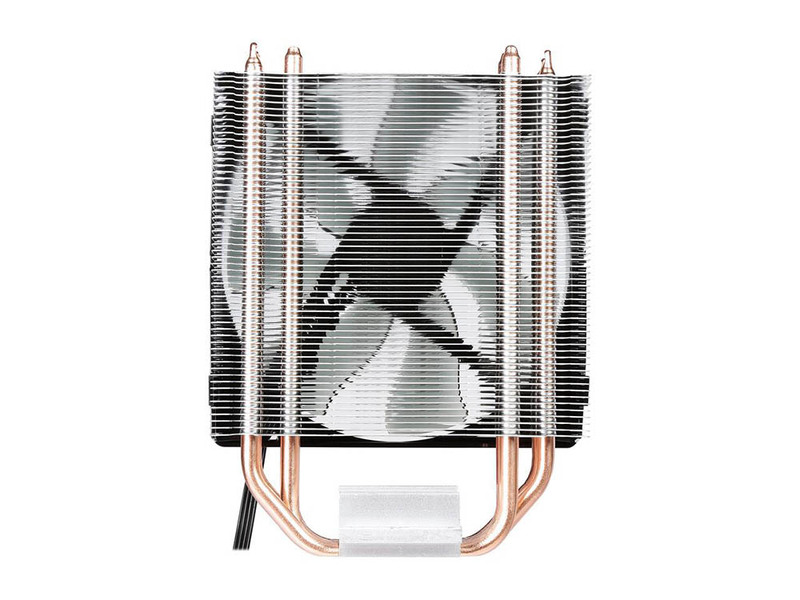 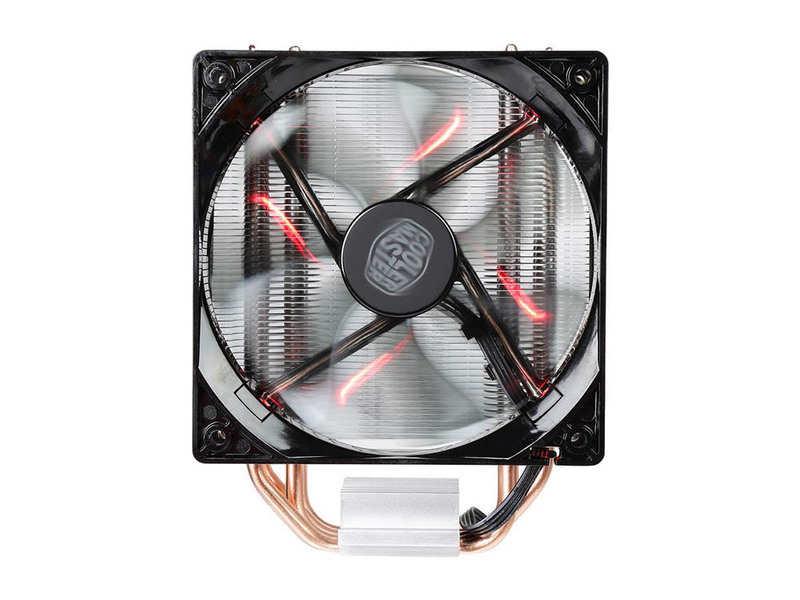 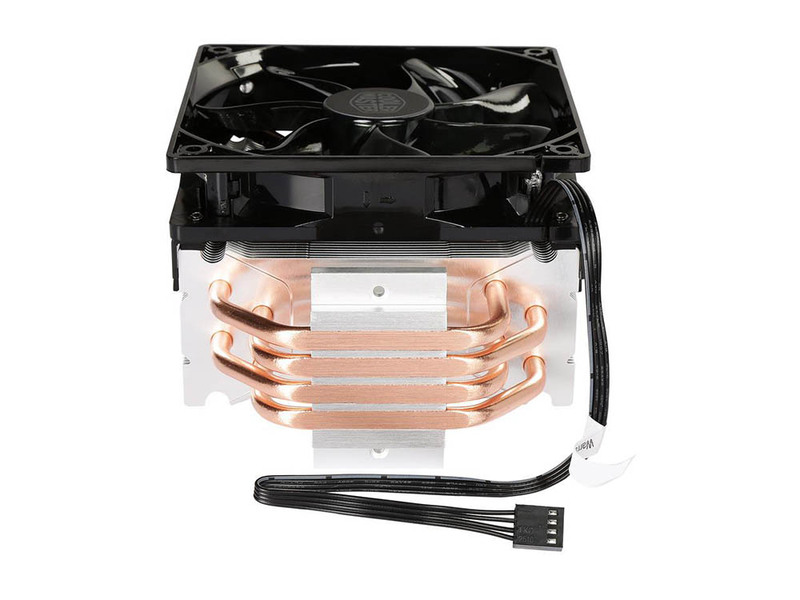 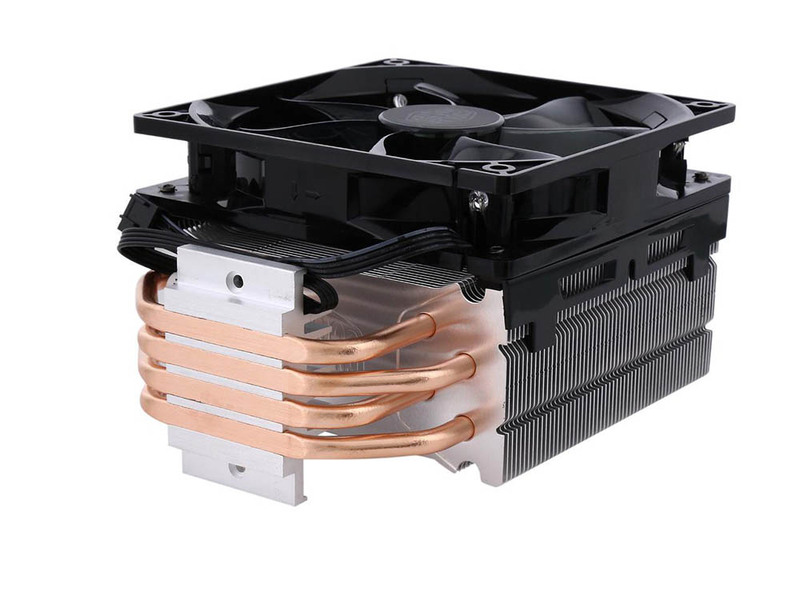 The latest in the extremely popular Hyper 212 series, Cooler Master’s Hyper 212 is based on the same patented CDC Quad heatpipe array as the 212 EVO but features several improvements that boost performance and further reduce noise. 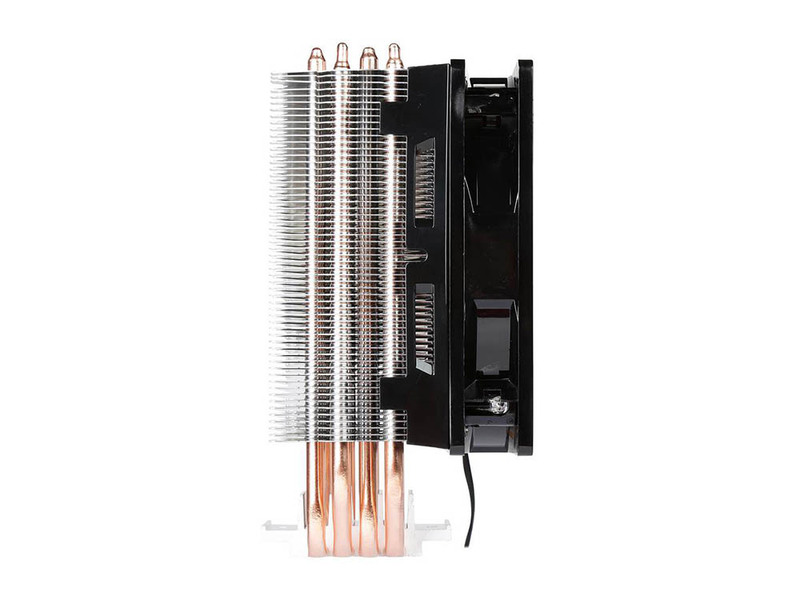 Thanks to our brand new Smart Engine and POM bearing, the 212 is incredibly durable and will virtually last a lifetime.